Rowlinson Connor Leisure Chalet: A very unique and multi-functional garden building which can be used as an outdoor office or studio, relaxation or entertaining area and garden storage - the options are endless! With heavy duty framing, robust 19mm high quality tongue and groove cladding and tongue and groove floor and roof, this is a garden building that can last you very many years and has the feeling of a high end log cabin. 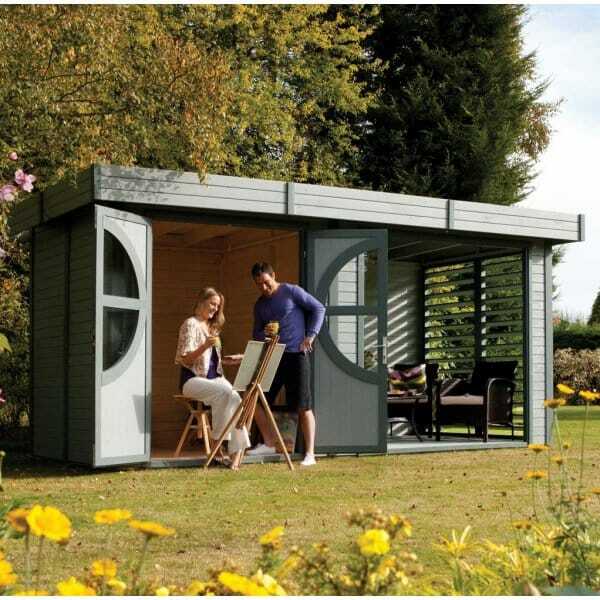 With the option of having this leisure chalet pre-treated with a factory finish with light blue/grey panels and dark blue/grey trim. A stunning and very useful addition to any garden!